When you see Magic Johnson on the cover, you probably expect an NBA-licensed game. 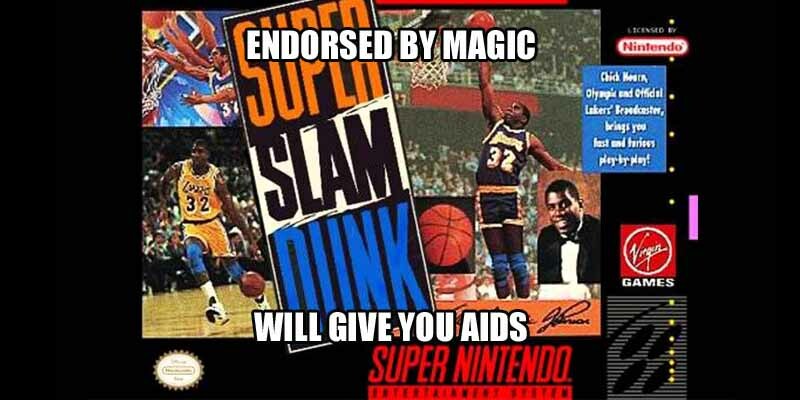 Since this is 1993 and you can’t look up the fact that Magic’s appearances in Super Slam Dunk (SNES, 1993) are limited to pre-game commentary, you’re in for a disappointment. Even worse, the are no NBA teams or players – just three fictional teams with generic players. The only thing close to an NBA experience was Chick Hearn’s in-game commentary – all 7 repetitive lines of it.